As President of LifeHouse Theater, I spend a good deal of time thinking about how we, as Christians and members of the LifeHouse community, should think about stories in light of our Christian faith. Even though LifeHouse is committed to producing musicals and dramas that illustrate the Christian worldview, this does not stop us from staging many stories written by non-Christians, or many stories embraced by non-Christians. I think we all know why: even non-Christians can recognize truth and beauty in the world and then weave it into their creative works. This ability is a gift from God, often referred to as common grace. While this grace flows from God, it has its limits. Common grace can lead a person to understand many things: that God exists and that we are to live a certain way and that something’s terribly wrong with our world (Romans 1). But, it does not reveal how we can be reunited with God through Christ. Only Scripture gives us this full of a picture. (1) A common grace question — What truth does the story affirm? And (2) a Scriptural question — How does the truth fit with God and his plan for human history? “My Fair Lady” is not trying to undermine the Christian faith, but at times the characters can make you feel uncomfortable: the Professor treats Eliza pretty harshly and she can dish it back as well! In the President’s Message, I outline one way to view what happens between the Professor and Eliza in light of the Christian faith. This simultaneously moving and humorous musical is an adaptation of George Bernard Shaw’s classic play, “Pygmalion.” In Greek mythology, Pygmalion is a man who sculpts his ideal woman in ivory, and in answer to his prayer, Venus changes her into a living person. 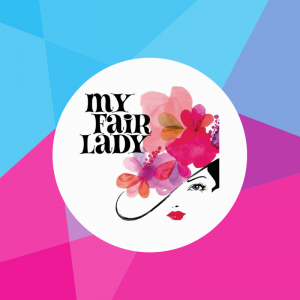 Among many themes in “My Fair Lady” is the idea of change. Unlike God, human beings are always changing, though they don’t always know it nor think they need to change. When writing a story, most writers are sure to pit their heroes against overwhelming obstacles. This ensures that at the closing of their story the characters are different than they were at the beginning. In a similar way, God uses obstacles to bring about growth and maturity in us as well, and sometimes God uses people we never expect he would use. But we shouldn’t be surprised that our sovereign and good God would use people — even with cruel or selfish intentions — to help reveal our shortcomings or sin, as uncomfortable and painful as it may be. Man tends only to see what’s on the surface of people and situations, while God searches and knows the heart, as the Lord told Samuel when Israel was selecting a King (1 Sam 16:7). We hope this musical reminds you that our perspective on the people around us isn’t always as it seems, especially in the hands of a brilliant Author. In conclusion, as Christians, the way the Professor treats Eliza and Eliza treats the Professor should concern us! Mankind is sinful and selfish. But the author(s) of “My Fair Lady” don’t leave the characters as they are, but orchestrates situations so they will see and change their ways. By the end of the musical the Professor and Eliza are not perfect, but they are far different from they were at the beginning. God is not finished with us either: he is continually making us more like Christ, often through circumstances we never saw coming! Yes. Gid’s Goodness is found everywhere, even in seemingly odd places. His grace is unending. His mercies new every morning. But one of His greatest gifts is free will… awesome and at the same time dangerous. In “My Fair Lady” the clash of cultures is reflective of society, especially today. Yet by the struggle toward a common goal, Henry and Eliza find their choice to succeed together, made in their free will, brings them to a companionship of respect and acceptance. 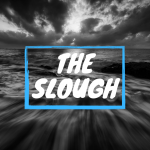 Our free will, our struggle toward the goal of a life well lived inevitably leads us to a struggle with the Lord. Our success is in the ultimate companionship in Christ Jesus.